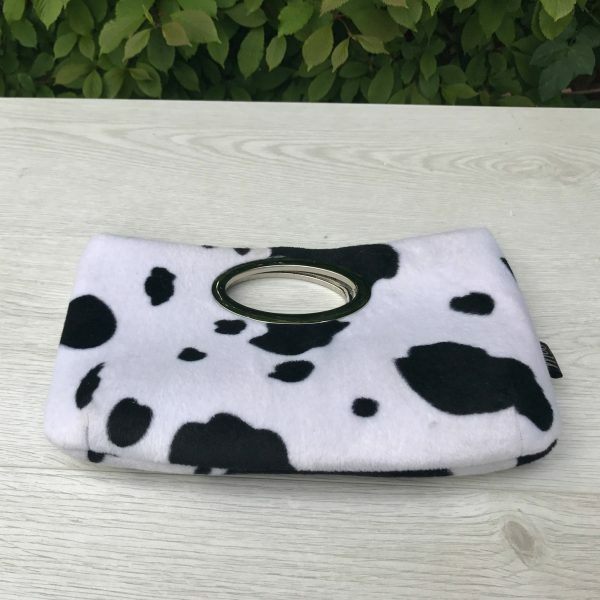 This clutch purse has been handmade from cow print faux fur, lined with black cotton; a layer of foam has been added between fabric to give the bag structure, completed with a magnetic snap closure and oval metal handles. 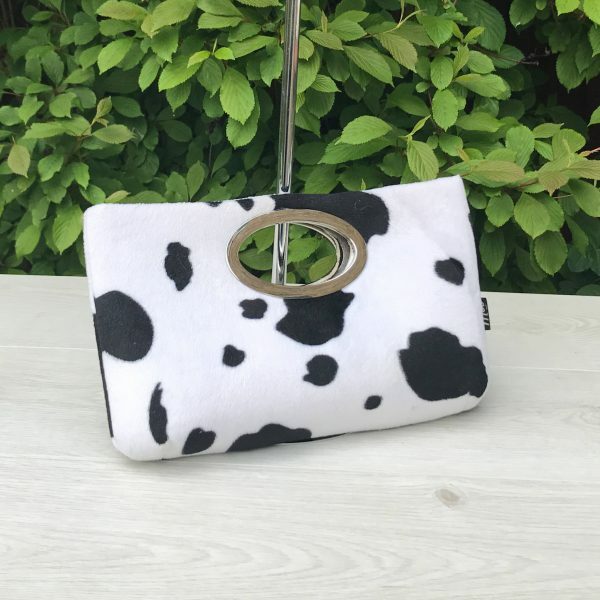 • Height from base of bag to bottom of handle 11cm Approx. 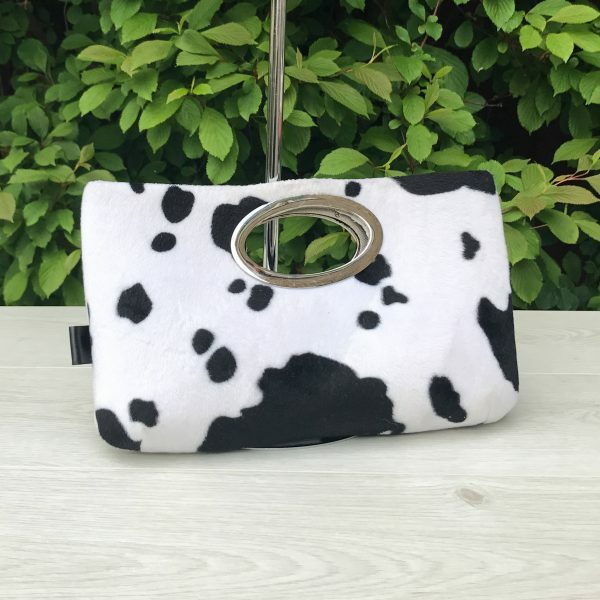 • Width internal handle 9.5cm Approx.